The first leg between those two sides was a breathless affair. Frankfurt quickly a man and a goal down after Even N’Dicka’s red card could not help themselves and continued to attack against a very talented Benfica side. In some ways, the Eagles paid the price for that approach. Benfica led by the 19-year-old João Félix ruthlessly explored the space that Frankfurt left open with a man down for almost 80 minutes and scored four goals. But Frankfurt should never be counted out and managed two goals themselves. In fact, Frankfurt were denied a goal by the refereeing team in the first half and in the dying moments of the game Filip Kostić almost made it 4-3. Frankfurt were seemingly exhausted and this weekend paid the price after losing 3-1 to Augsburg despite dominating the first half. Perhaps it was the European hangover, but perhaps it was yet another needless sending off, this time by Gelson Fernandes, that cost Frankfurt the points against Augsburg. Both games, however, highlight never count out this Frankfurt side. Even after losing to Benfica 4-2. 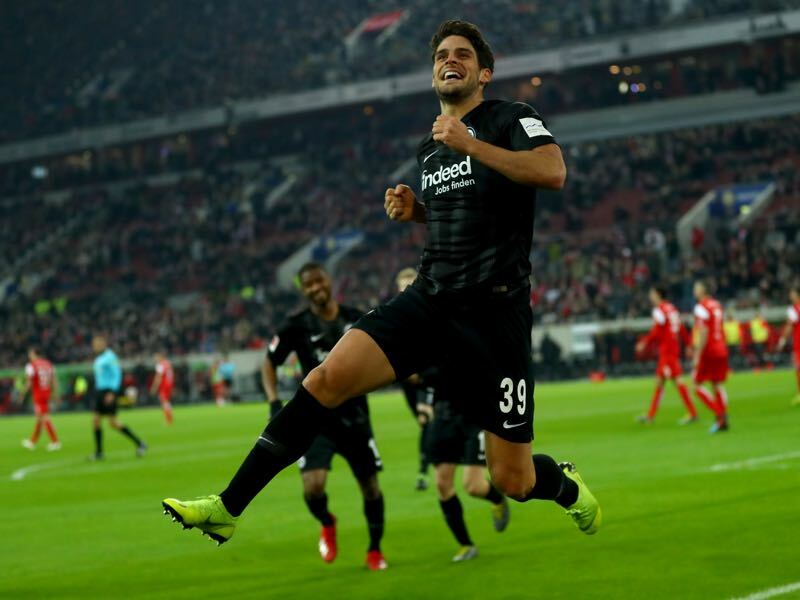 The two away goals are valuable; after all, Frankfurt have highlighted throughout the season that they can score countless goals at home, the 4-1 victory over Shakhtar Donetsk comes to mind. Nonetheless, it will be “an act of will” as Eintracht Frankfurt head coach Adi Hütter described it in the second leg. But even with injuries to Sebastién Haller and fitness concerns about defender Martin Hinteregger, there is a sense in Frankfurt that the Eagles can still turn this tie around and advance to the semifinals. Benfica, in the meantime, travel to Frankfurt knowing that the record of Portuguese teams in Germany, in general, is less than stellar. On their last trip, they were demolished 5-1 by a Bayern München side that was very much in flux under new head coach Niko Kovac. A similar performance on Thursday against an eleven-man Frankfurt side backed up by a loud crowd at the Waldstadion will surely be not enough. At the same time, there is a sense of optimism. After all, Benfica have been excellent since Bruno Lage has taken over in January and are among the most inform teams in Europe at the moment. Hence, the return leg of the duel of the Eagles will likely provide a few more twists and turns as well as drama in what could be the European game to watch this week. With Sebastién Haller likely out for the return leg with a stomach muscle injury, “I could be fit in a week or in six weeks,” all eyes are on Portuguese striker Gonçalo Paciência. Signed from Porto it was, in fact, Paciência, who provided the lifeline for Eintracht in the first leg. Scoring with a looped header it was a bit of redemption for the 24-year-old striker. Signed from Porto he was booed by the Benfica crowd when he came on with 22 minutes to go. Shortly after he scored. On a personal level it has also been a good few weeks for the Portuguese striker after missing the start of the season with a complicated Meniscus injury. Since his return, in February he has scored four goals in 11 games including the opening goal against Augsburg on Saturday. Unfortunately, he also had a sitter against Augsburg on Saturday. But nobody will talk about that missed opportunity for long should Paciência help guide Frankfurt to the semifinals of the Europa League. João Félix was fantastic in the first leg for Benfica scoring a hattrick sinking to his knees after the final goal with tears of joy. The performance of the 19-year-old underlined what has been already a fantastic season for the forward in which he has scored 16 goals and nine assists in 37 games. No surprises then that João Felix has caught the attention of countless scouts around Europe and has recently been linked with Bayern München, Manchester City and Wolverhampton Wanderers. “Technically he is far beyond average and reminds me a bit of Zinedine Zidane. Furthermore, he is quick to recognise situations, which helps him in one-v-one situations against stronger players,” former Benfica player Nuno Gomes said. “He has enormous potential. There is a reason I called him up to the national team,” Portugal head coach Fernando Santos recently told the press. There has been some comparison with Cristiano Ronaldo. In truth, the two are very different as Cristiano is a more physical and athletic player. What is comparable is the price, even though the 19-year-old only earns €370,000 a year he already has a €200 million exit-clause written in his contract. 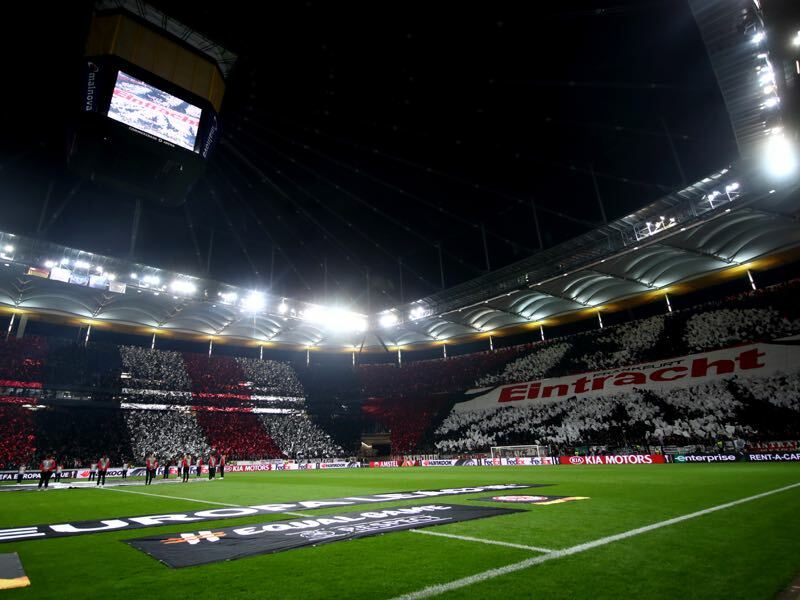 The return leg against Eintracht Frankfurt will be his biggest test yet as Benfica must survive in the hell that is the Waldstadion on a European night. 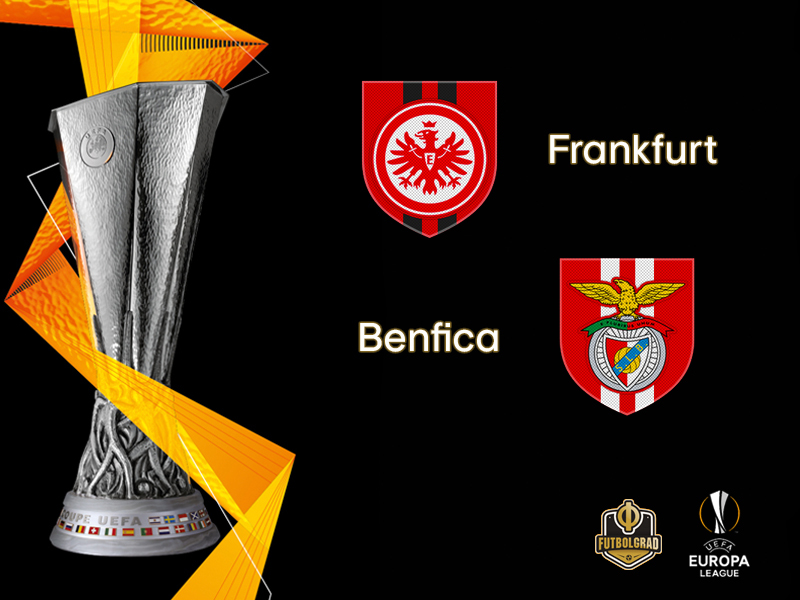 Eintracht have been paired with Portuguese opponents in UEFA competition just once before – and it ended their only previous UEFA Europa League campaign as they were eliminated on away goals by Porto in the 2013/14 round of 32 (2-2 away, 3-3 home). Benfica have vast experience against German opposition, their 47 UEFA matches having yielded 14 wins, 14 draws and 19 defeats. Benfica have won only two of their 24 matches in Germany, though both of those were in the knockout phase of the UEFA Europa League – 2-0 against Stuttgart in 2010/11 and 1-0 at Bayer Leverkusen in 2012/13. The most recent of the 16 defeats came in this season’s UEFA Champions League group stage when they lost 5-1 at Bayern München. The Lisbon club have prevailed in all three of their previous UEFA Europa League knockout phase ties against Bundesliga opponents – all in the round of 32 against Hertha Berlin (2009/10), Stuttgart and Leverkusen, recording victories in the last five of those matches. Eintracht’s overall record in the UEFA Europa League, home and away and including qualifying, is W15 D4 L2, the sole defeat prior to the one at Benfica having come away to Maccabi Tel-Aviv (2-4) in November 2013. Their home record in the competition is W8 D2, with only Porto and Inter having denied them victory.